From building and home automation to wearables, the Internet of Things (IoT) touches every facet of our lives. Here we define five key markets where IoT apps have potential for exponential growth. 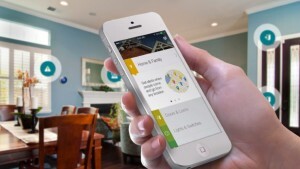 Though “home automation” is an early stage market, the industry is full of exciting promise. Google’s acquisition of Nest is a big sign towards the big potential IoT has in home and building automation. IoT and home automation will definitely be the basis for a new groundswell of industry in the years ahead. Innovative IoT apps are used to monitor and control intelligent buildings and smart homes. These apps not only enhances the security but can also be used to reduce energy and maintenance costs. Various areas where IoT based apps are used in building and home include access control, light and temperature control, Energy optimization, etc. There has been ever-growing need for security, cost reduction through integration, and increasing power efficiency, which present designers with new problems to solve in building and home. IoT apps can be really beneficial in solving these issues in near future. 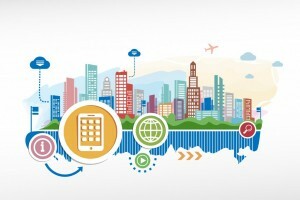 IoT applications that take advantage of ubiquitous connectivity, big data and analytics are enabling Smart City initiatives across countries, all over the world. New tremendous capabilities are introduced through these new apps, such as the ability to remotely monitor, manage and control devices, and to create new insights and actionable information from massive streams of real-time data. These apps can be used from residential e-meters, traffic cameras, centralized and integrated system control to pipeline leak detection. IoT products for lighting, surveillance, centralized and integrated system control and more can be used to reduce cost and resource IoT apps integrated with video surveillance IP network cameras. 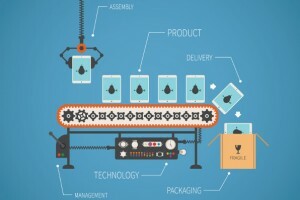 The benefits of IoT based apps include tools, software and hardware that ease and accelerate design time for smart manufacturing application. These apps can help in flow optimization, real time inventory, asset tracking, employee safety and firmware updates. IoT based POS (point of sale) terminal revolve around the reading of contact and contactless cards while securely transmitting the information – including the transaction – to a server for authentication and approval. Wearables are being used for entertainment, fitness, smart watches and location tracking. Smart Watches and bands are rapidly becoming the ultimate wearable device – combining not just the traditional watch function, but also most of the other features often found in a wearable product. With power of IoT apps on wearable devices, users could be allowed to automatically connect to devices around the home. Maybe you have a preferred lighting level when watching TV from a particular chair. You could turn on the TV and your wearable device could help adjust the lighting level from the connected LED lights within the room. An intelligent IoT enabled house might even support automatically blocking light from windows that created glare on the TV. Not just that, Even the backlighting on the LCD TV screen can also be adjusted and all settings optimized for saving energy, as well as creating the most favorable viewing experience. With the broadest portfolio in the industry, TechAhead provides highly efficient solutions for the wearables market based on IoT apps. 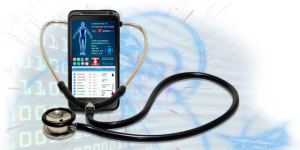 Large hospital based imaging systems can be joined with in-home monitoring IoT apps using multiple sensor nodes, thin client solutions and healthcare industry devices that are part of an intelligent system which offer better care by securely managing information, automating process and improving collaboration. By using intelligent systems, hospitals could provide easier access to health information, streamline costs, and create operational efficiencies hence, improving patient experience. 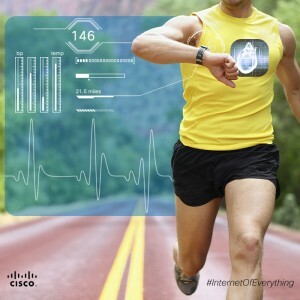 IoT based apps can also be used for remote monitoring, Ambulance telemetry and drug tracking. So,the best way to build an application that could do anything from controlling home appliances remotely to gathering all kind of data from sensors to produce a weather forecast is apps on Internet of Things. If you’re a small business leader/owner, and would like to be future ready, begin now by fitting the Internet of Things into your strategy portfolio for the next several years. With our vast technology experience and developers working on cutting edge technology, including IoT, we can help you take advantage of this revolution in technology and get competitive advantage. Contact us today to learn how your business can benefit from IoT inclusion. From building and home automation to wearables, the Internet of Things (IoT) touches every facet of our lives. Here we define five key markets where IoT apps have the potential for exponential growth.